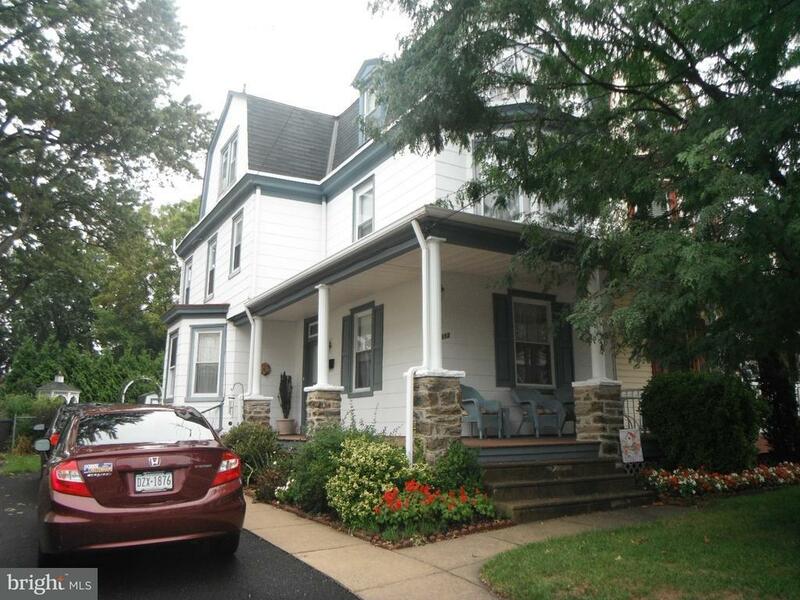 112 Central Avenue Cheltenham, PA. | MLS# 1001270663 | Roy L. Hollinger | Cheltenham Homes for Sale | Barandon And Hollinger Real Estate, LTD.
Charming 3 story Victorian twin with a beautiful wrap around porch for watching the world pass by. Deep back yard with a gazebo, your own magical pond, yard filled with scrubs and flora and a large patio which creates your own little oasis for entertainment and relaxation. As you enter the foyer inside you see how well they have taken care of their home. Kitchen has been recently updated with stainless steel appliances and plenty of white cabinetry. An intimate nook is for your kitchen table. Many improvements like an expanded updated bathroom, walk-in closet, replacement windows and mud room. Plenty of light comes in by the bay windows. Newer heater and hot water heater to give you peace of mind. The many bedrooms allow you to create all kinds of fun and hobby spaces plus rooms for guests. A must see on your home buying list.